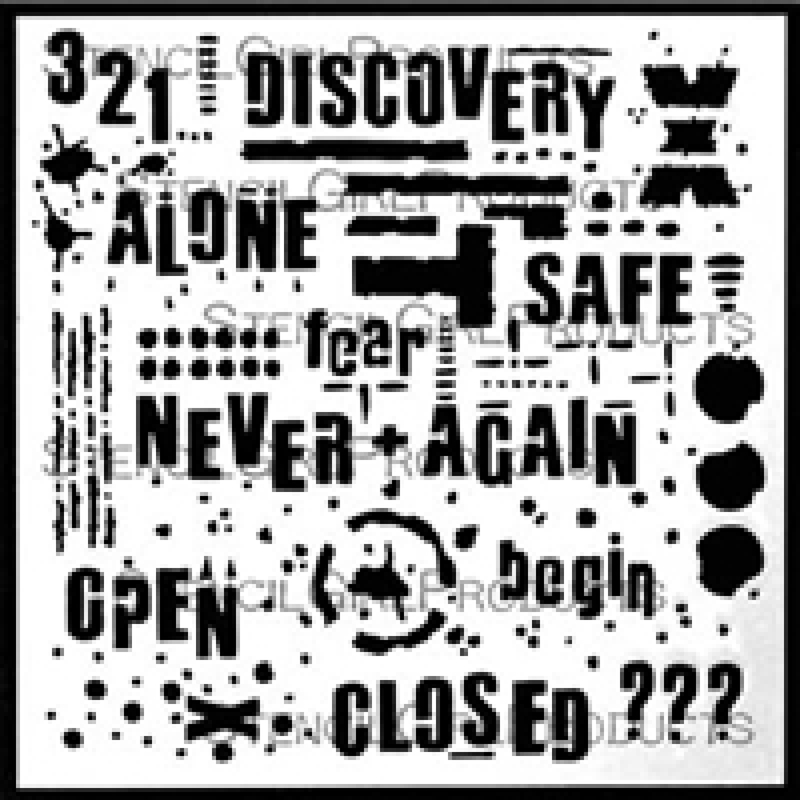 Discovery is one of three designs from the Text and Texture series, my fourth release of stencils from StencilGirl Products. This stencil measures 6" x 6" and is filled with designs, words, and numbers perfect for mixed media artwork, journal pages, and other artful creations. The words on this stencil were chosen to reflect real life - sometimes positive, sometimes negative but always a journey and an adventure. Made using a 7 mil mylar, heat resistant film, this stencil can be used over and over again. While you can use the stencil as a whole, the many sections of the stencils lend themselves to layering.